The California State University Bakersfield Youth Soccer Camp is open to both boys and girls, 5 to 14 years old. It is a 5-day event from June 12 to June 16, . It will group attendees by age and skill level. The camp will focus on the overall improvement of the player’s technical and tactical abilities. The sessions consist of shooting, passing, receiving, and heading drills. There will also be competitive small sided matches. It will be an encouraging and fun experience. This event is an initiative of the California State University Bakersfield men’s soccer coaching staff and its current players. It will take place at the Main Soccer Field as well as the practice field. California State University Bakersfield is a public coeducational university in Bakersfield, California. It is a member of the California State University system. The university is Tier 2 in the Regional Universities West, edition of Best Colleges rankings. Currently, its total student population is around 9,400. The student to faculty ratio is 28 is to 1. Moreover, the university has 17 intercollegiate sports teams. They are participating in the Western Athletic Conference of NCAA Division 1. Their nickname is Roadrunners. Blue and gold are their identity colors. The university men’s soccer team is 7th in the latest conference standings. They are the 1997 NCAA Division 2 National Champions. In addition, the team has already 7 NCAA Division 2 Tournament appearances. Richie Grant is the new CSU Bakersfield men’s soccer head coach. He is a 2-time Conference USA Coach of the Year. He is also the 1995 Tennessee Collegiate Athletic Conference Coach of the Year, during his stint as Lambuth University’s head coach. During his playing years, Coach Grant is a 2-time NAIA All-America defender and also a 2-time NAIA District V Player of the Year. Then, the CSU Bakersfield assistant coaches are Gerry Cleary and James Garces. Finally, completing the Roadrunners coaching staff is Brandon Hearron, the goalkeeper coach. 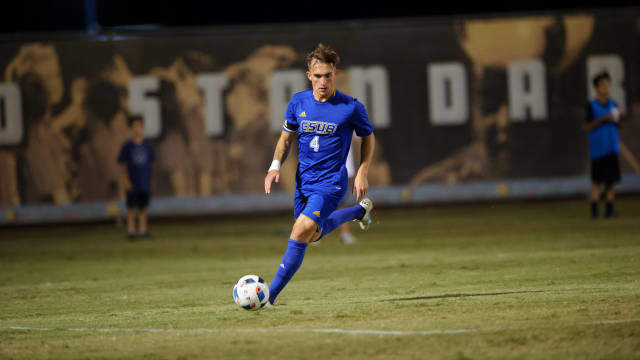 The California State University Bakersfield Youth Soccer Camp will focus on the overall improvement of the player's technical and tactical abilities.